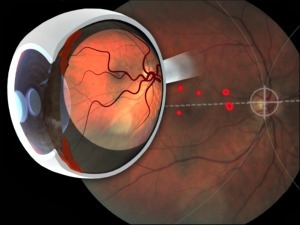 Retinal imaging has rapidly grown within ophthalmology in the past twenty years. The availability of low cost fundus cameras to take direct images of the retina, fundus photography, makes it possible to examine the eye for the presence of many different eye diseases with a simple, non-invasive method. The project aims to apply deep learning techniques to segment normal retinal anatomical structures and the pathologies. The morphological analysis can give insight about various retinal disease, which includes Diabetic Retinopathy, Hypertensive Retinopathy, Glaucoma and Age Related Macular Degeneration (AMD). We aim to develop a Computer Aided Diagnostic (CAD) system for retinal and systemic disease screening which may help in lowering the workload of ophthalmologists and reduce the costs of health care. 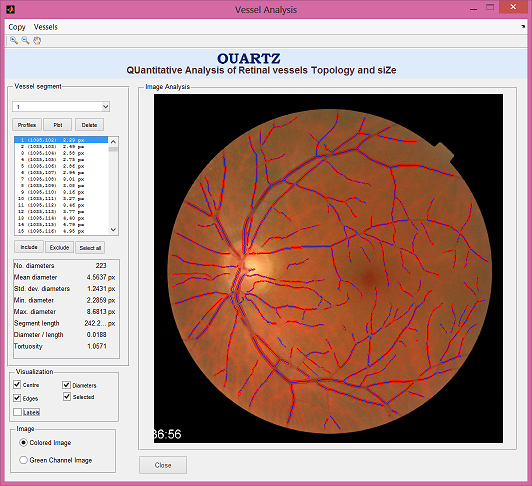 A Computer Aided Diagnostic (CAD) system for DR screening is a realistic option to lower the workload of ophthalmologists and reduce the costs of health care. We have developed a CAD system for automatic DR screening which allows the identification of diabetic patients that need to be referred to an ophthalmologist. The system takes into account normal anatomy and abnormalities of multiple types as well as whether a reliable analysis can be produced depending on the quality of the image. A CAD system for AMD diagnosis and grading is a valuable tool in avoiding the shortcomings of manual grading and reduce the ophthalmologists’ workload. One of the goals of our project is to develop a CAD system able to diagnose and grade AMD using the different image modalities available in clinical practice. The blood vessels, optic disc, fovea and macula are essential anatomical structures in the human retina. The optic disc is the entry and exit site of the blood vessels and optic nerves to the retina. The fovea is a small pit of the retina containing the highest concentration of photosensitive cells and responsible of our highest visual acuity. Both elements can be visualized in retinal images: the optic disc as a bright oval area interrupted by outgoing vessels and the fovea as dark area without retinal capillaries. Information about the position and the aspect of the optic disc and the fovea helps in the diagnosis and severity grading of several eye complications, such as glaucoma, diabetic retinopathy or age-related macular degeneration. Therefore, a number of research groups (included ours) in academia and companies have developed automatic algorithms to detect these anatomical structures. However, in the presence of severe eye disease manifestations, these structures might be partially or completely obscured in the image, hindering a correct detection and segmentation. M. M Fraz, W. Jahangir, S. Zahid, M. M. Hamayun, S. A. Barman , “Multiscale segmentation of exudates in retinal images using contextual cues and ensemble classification”, Biomedical Signal Processing and Control, Vol. 35, pp. 50-62, May, 2017. RA Welikala, M.M. Fraz, PJ Foster, PH Whincup, AR Rudnicka, CG Owen, DP Strachan, SA Barman, “Automated retinal image quality assessment on the UK Biobank dataset for epidemiological studies”, Computers in Biology and Medicine, Vol. 71, No. 1, pp. 67–76, Apr, 2016. M. Usman, M.M. Fraz, S.A. Barman, “Computer Vision Techniques Applied for Diagnostic Analysis of Retinal OCT Images: A Review”, Archives of Computational Methods in Engineering, Vol. 23, No. 84, pp. 1-17, Apr, 2016. M. Abdullah, M.M. Fraz, S.A. Barman, “Localization and segmentation of optic disc in retinal images using Circular Hough transform and Grow Cut algorithm”, PeerJ, Vol. 4, No. 1, pp. 1-23, Apr, 2016. M.M. Fraz, R.A. Welikala, A.R. Rudnicka, C.G. Owen, D.P. 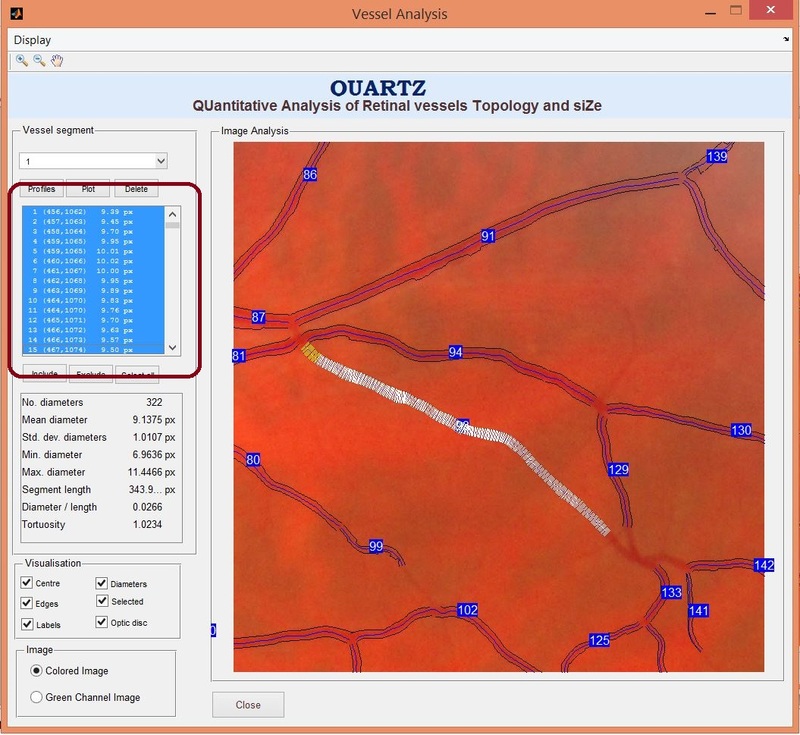 Strachan, S.A. Barman, “QUARTZ: Quantitative Analysis of Retinal Vessel Topology and size – An automated system for quantification of retinal vessels morphology”, Expert Systems with Applications, Vol. 42, No. 20, pp. 7221, Nov, 2015. R.A. Welikala, M.M. Fraz, T.H. Williamson, S.A. Barman, “The automated detection of proliferative diabetic retinopathy using dual ensemble classification”, International Journal of Diagnostic Imaging, Vol. 2, No. 2, Sep, 2015. R.A. Welikala, M.M. Fraz, J. Dehmeshki, A. Hoppe, V. Tah, S. Mann, T.H. Williamson, S.A. Barman, “Genetic algorithm based feature selection combined with dual classification for the automated detection of proliferative diabetic retinopathy”, Computerized Medical Imaging and Graphics, Vol. 43, No. 7, pp. 64-77, Jul, 2015. A. Basit, M.M.Fraz, “Optic disc detection and boundary extraction in retinal images”, Applied Optics, Vol. 54, No. 11, pp. 3440-3447, Apr, 2015. M.M. Fraz, A. R. Rudnicka, C. G. Owen, S. A. Barman, “Delineation of blood vessels in paediatric retinal images using decision trees-based ensemble classification.”, International journal of computer assisted radiology and surgery, Vol. 9, No. 5, pp. 795-811, Sep, 2014. M.M. Fraz, A. Basit, S. A. Barman, “Application of Morphological Bit Planes in Retinal Blood Vessel Extraction”, Journal of Digital Imaging, Vol. 26, No. 2, pp. 274-286, Apr, 2013. M.M. Fraz, P. Remagnino, A. Hoppe, A. Rudnicka, C.G. Owen, P. H. Whincup, S.A. Barman, “Quantification of blood vessel calibre in retinal images of multi-ethnic school children using model based approach”, Computerized Medical Imaging and Graphics, Vol. 37, No. 1, pp. 48-60, Jan, 2013. M.M. Fraz, S.A. Barman, P. Remagnino, A. Hoppe, A. Basit, B. Uyyanonvara, A.R. Rudnicka, C.G. Owen, “An approach to localize the retinal blood vessels using bit planes and centerline detection”, Computer Methods and Programs in Biomedicine, Vol. 108, No. 2, pp. 600-616, Nov, 2012. M.M. Fraz, P. Remagnino, A. Hoppe, B. Uyyanonvara, A.R. Rudnicka, C.G. Owen, S.A. Barman, “Blood vessel segmentation methodologies in retinal images – A survey”, Computer Methods and Programs in Biomedicine, Vol. 108, No. 1, pp. 407-433, Oct, 2012. M.M. Fraz, P. Remagnino, A. Hoppe, B. Uyyanonvara, A.R. Rudnicka, C.G. Owen, S.A. Barman, “An Ensemble Classification-Based Approach Applied to Retinal Blood Vessel Segmentation”, IEEE Transactions on Biomedical Engineering, Vol. 59, No. 9, pp. 2538-2548, Sep, 2012. Posted in Computer Vision, Medical Image Analysis, Projects.